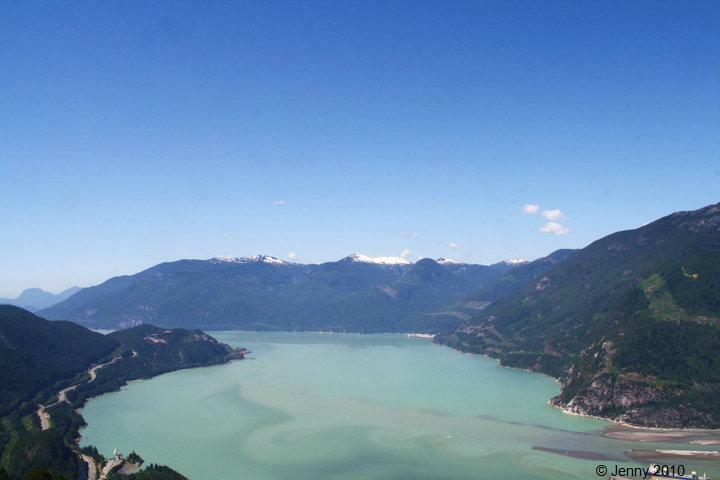 Every summer, I do one annual hike at Stawamus Chief in Squamish. It is usually just a day trip, were I bring lunch and eat it at the top. However this year it was different, because R and I went the day before the hike to camp there, so we can get a head start the next morning. It was a great idea to start early, because by the time we were coming down, the trail was packed with tons of people. The hike is about 3 hours (up and down) for a moderate hiker (like me), but it totally worth it to relax up there and enjoy this gorgeous view of Howe Sound. Anyways, this year, I only brought a few snacks to munch on, so by the time we got back down(1pm), I was ready to eat a horse. It just so happen recently Kim went to a cheese sandwich shop located in Squamish and blogged about it, so I made sure to put that on my list to try and off we went. 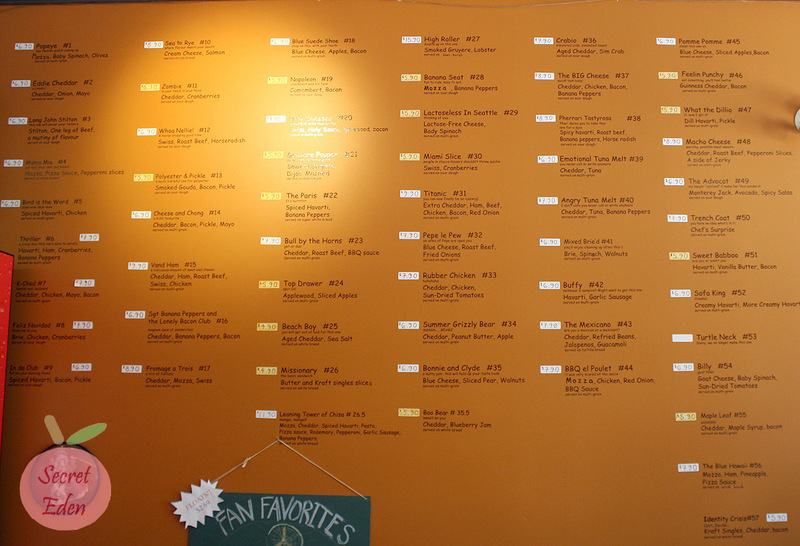 Grilled Fromage is a grilled cheese sandwich shop with 57 different kinds to choose from. 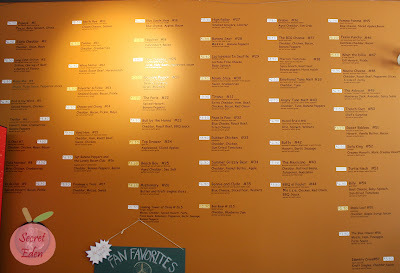 The menu is listed on the wall, and it took at least 5 minutes to go through all the kinds they offered. Choosing one was even harder, because there were several that sounded delicious. In the end, I ordered no. 49: The Advocat ($6.90). This sandwich was a combination of spicy salsa, avocado and Monterey Jack cheese served on sour dough. You have the option to make it a combo, so I added potato salad to my meal for around $1.50 extra. The sandwich was delicious, it was grilled perfectly, crunch, yet not dry. The combination of Monterey Jack cheese, avocado and salsa all worked in harmony. The only thing was that the sandwich was a bit greasy to the touch. The potato salad was fresh and tasty and yes, they serve all sandwiches with a side of Cheezies and a few sweet grapes. R chose no. 54 : Billy($6.90). This was a combination of goat cheese, baby spinach, and sun dried tomato served on multi-grain bread. Personally I didn't love it, because I prefer gooey/melty cheese over the spreadable type. However R loved it, he thought the sandwich was great, and the flavors worked well with one another. One thing I did like about his sandwich was the bread, I preferred the multi-grain over the sour dough.